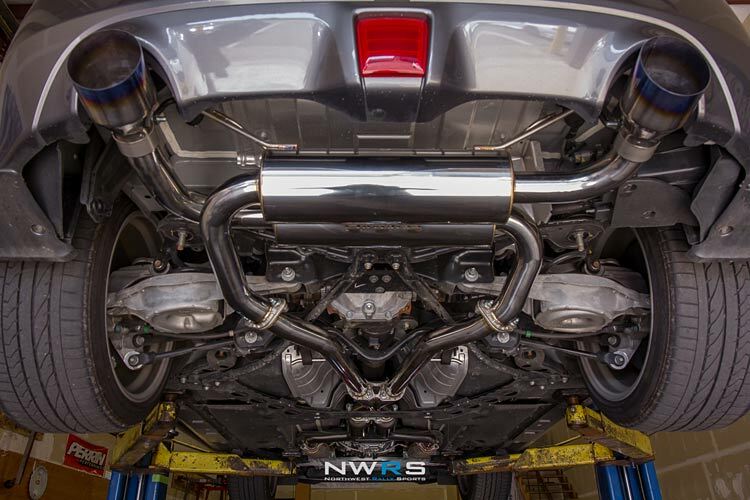 Looking for a performance 370z exhaust? You’ve come to the right place. We compare nine of the best 370z exhausts available to help you find your perfect system. So, you’ve been lucky enough to get your hands on Nissan’s latest offering of raw 3.7 litre V6 power. We’re guessing you’ve realised that the car has so much more to offer than what it left the factory with and decided it’s time to release its full potential? If so, you’ve come to the right place – we’ve compiled the ultimate exhaust guide just for you! At Drifted, we know all too well that with any stock car purchase it’s near-impossible to resist the endless possibilities that are available in the tuning world. Looking for more power? Our 370z turbo kit and supercharger guides will point you in the right direction. Following the success of the 350Z, Nissan decided in 2009 that it’s time for a new beast to enter the market. Their goal was to maintain the ideology that made the 350Z so unique whilst also improving on many aspects. Before we knew it, the Nissan 370Z was born. There’s no doubt that whatever manufacturers improve on, the aftermarket tuning world will continue to push out even more substantial gains whilst providing better sounds and looks that’ll make your Z34 stand out from the crowd on the road, at a meet or on the track. Want to learn all about Nissan VQ37VHR engine? Try our completed VQ37VHR motor guide. This guide has been created to help you find the perfect exhaust upgrade for your Fairlady. We’ll be focusing on all aspects that you’ll be looking for to compliment your Z perfectly. 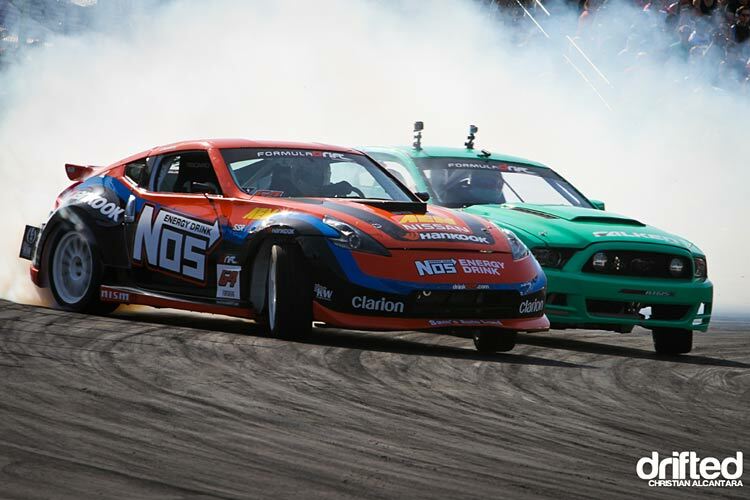 Purchase link: Buy your Stillen 370Z Exhaust at Enjuku Racing! 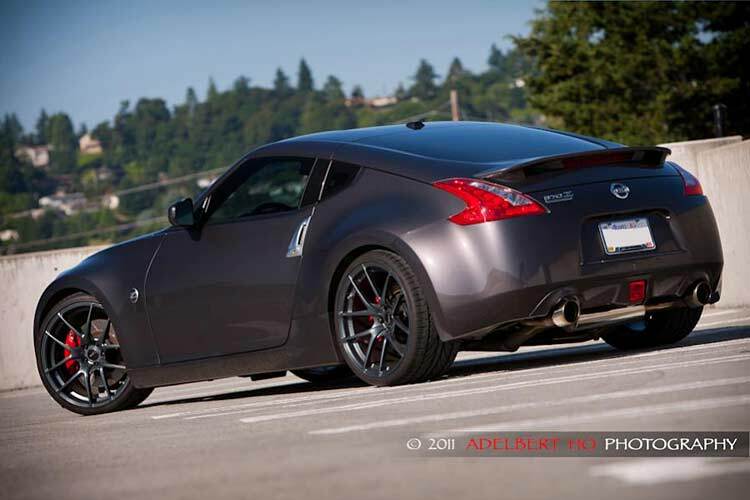 Our comment: This mid-price offering from Stillen brings offers a much cleaner look to your Z. With an ‘aggressive tone without the annoying drone’, this is an ideal choice for those who want the looks, performance and aggressive sound when under throttle but also keen to keep noises to a minimum when cruising on the highway. Purchase link: Buy your HKS Hi-Power 370Z Exhaust at Enjuku Racing! 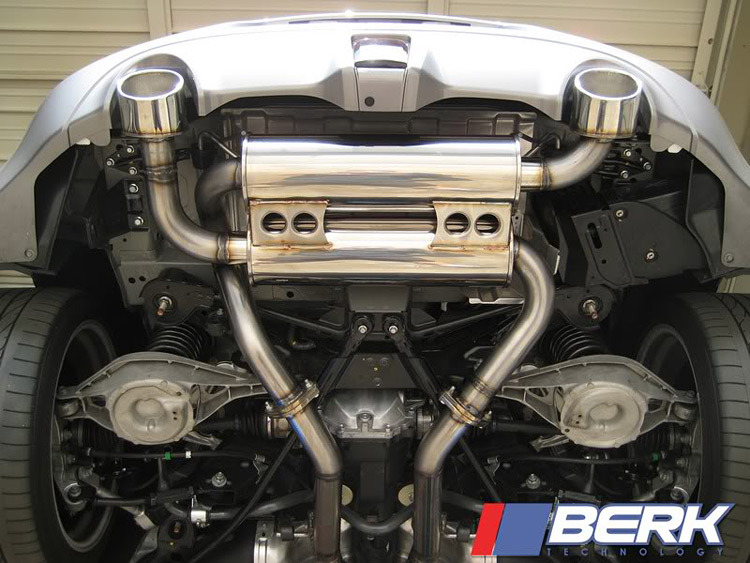 Purchase link: Buy your Berk Technology 370Z Exhaust at Enjuku Racing! Our comment: Berk Technology’s popular offering is the most affordable of our selection so far. This beautifully crafted exhaust provides a deep yet mellow exhaust note while keeping a neat stock-looking finish to the rear end of the car with the outside sound providing a much more aggressive, clean sound. 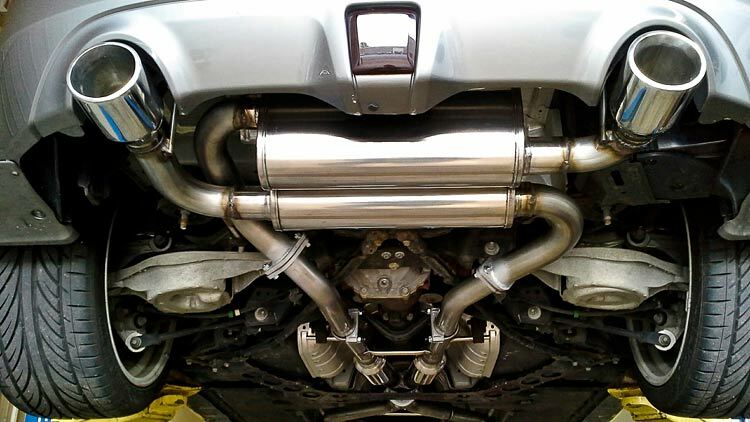 Purchase link: Buy your Tomei Empreme Titanium 370Z Exhaust at FRSport! 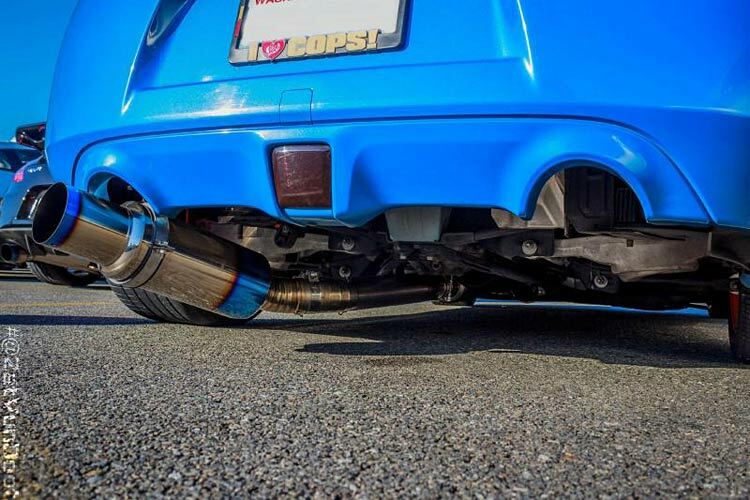 Our comment: Weighing in at an insane 13lbs (5.7kg) is Tomei’s offering, despite an extremely impressive 18.8kg weight loss, this single-exhaust system is perhaps not for everyone. If you’re purely weight loss and performance – the Tomei is quite possibly the best choice for the money. However, with the 370Z’s body design made with twin exits in mind – having a single large Jap-style exhaust poking out the rear is an acquired taste. 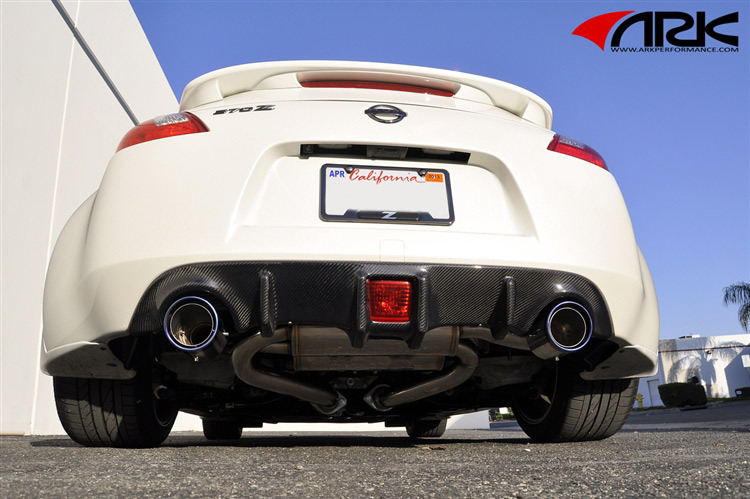 Purchase link: Buy your Invidia Gemini 370Z Exhaust at FRSport! Purchase link: Buy your ARK DT-S Exhaust at Enjuku Racing! Our comment: With arguably one of the best sounding options, ARK have listened to the people when designing their great-looking exhaust. Despite having the popular burnt tip option, there’s also the choice to go down the traditional stainless steel route. This exhaust features quiet cruising speeds which open up to deep intoxicating acoustics to show off that awesome VQ tone. 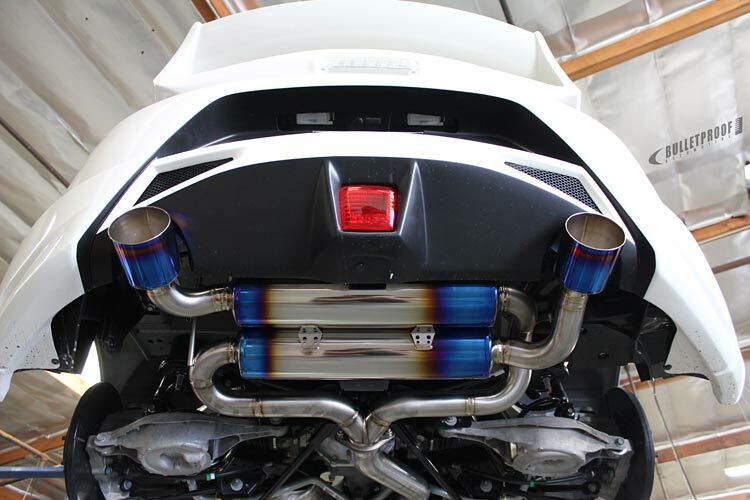 Purchase link: Buy your Manzo 370Z Exhaust at FRSport! Purchase link: Buy your Fast Intentions exhuast here! Our comment: Weighing in at just 9.2kg, this incredible STTI titanium offering from Amuse is undoubtedly the unicorn of the 370Z exhaust world. Despite being visually stunning insanely lightweight and providing an incredible soundtrack, this comes at a cost. With prices starting at $3,295, expect to fork out an eye-watering $7,485 for the quad-exit alternative. 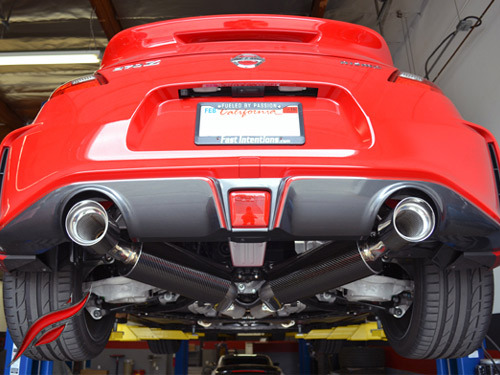 If money is no object, this could quite possibly be the exhaust for the perfect finishing touch to your 370Z! We couldn’t ignore the specifications, features, quality of build materials and price point of our winner, the Invidia Gemini. Already an extremely popular offering among 370Z owners, the value for money while providing an incredible soundtrack and great quality, we felt it just couldn’t be beaten. Now you’ve sorted out your soundtrack why not unleash some more power with a pair of 370z headers? Already got them? Then why not upgrade your 370z coilovers? Got an Infiniti G37? Our G37 exhaust guide is written just for you. Please remember to subscribe or follow us on Feedly for free updates. If we have missed an exhaust offering that you think is worthy of mention then drop it in the comments below.